Inspire Support provide lawn mowing, weeding and general gardening services from Monday to Friday every week. Our gardeners provide all necessary equipment and can provide support in ensuring lawns and gardens are maintained to a high standard. If you have a goal to improve your garden such as planting a vegetable patch or flower garden our gardeners can also work with you to achieve those goals. Lawn mowing and gardening services can be scheduled weekly, fortnightly or monthly, depending on your individual needs. 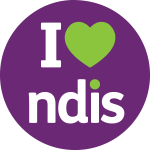 Garden Maintenance supports can be funded from Core Supports in approved NDIS Plans.